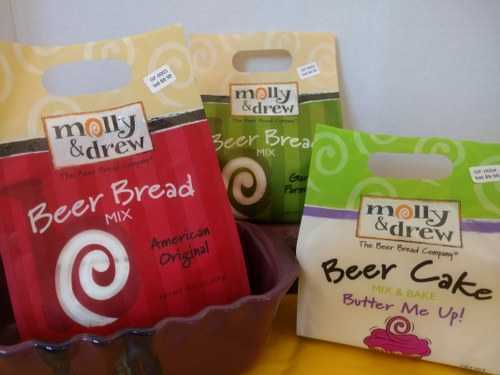 Molly & Drew (The Beer Bread Company) beer bread mixes - just add a can of your favorite malt beverage. Flavors include Original, Garlic Parmesan, Cinnamon Crumble, Taste of Tuscany and more. But wait! Molly & Drew also make a beer CAKE mix ($9.98) - delicious and very moist. Cake flavors are Butter Me Up, Tall Dark & Strawberry, Amore Amaretto. These mixes make a great gift! Service Area: Lodi, Sun Prairie, Baraboo, Portage, Oregon, Verona, Wisconsin Dells, Mc Farland, Cottage Grove, Marshall, Cross Plains and surrounding communities.